Isn't October the best time to curl up with a spooky book? Though horror is my favorite genre and I read it year-round, there is just something special about reading about ghouls and goblins around Halloween. 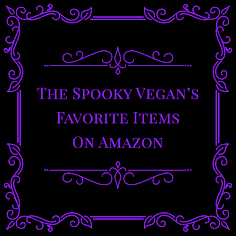 I especially love baking some pumpkin treats and settling in with a nice cuppa coffee and a Halloween-themed book! However, not just any scary book will do for Halloween…the books I read during this spooky season HAVE to be set during Halloween or be about Halloween. So below you’ll find my top 5 picks for the best books for Halloween! 1.) 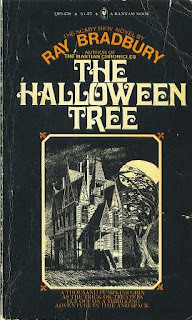 The Halloween Tree by Ray Bradbury – Bradbury is the undisputed king of Halloween, which is why I have two of his Halloween books listed here. The Halloween Tree is by far my favorite story, filled with nostalgia, Halloween history and is a touching story about the bonds of friendship one Halloween night. If you haven’t read this, check it out now! There is also a very well-done cartoon narrated by Ray Bradbury himself that is definitely worth tracking down! You can buy the book on Amazon. 2.) October Dreams: A Celebration of Halloween edited by Richard Chizmar and Robert Morrish – This collection is packed full of Halloween goodies, from short stories to Halloween essays to authors’ personal reflections on Halloweens past. 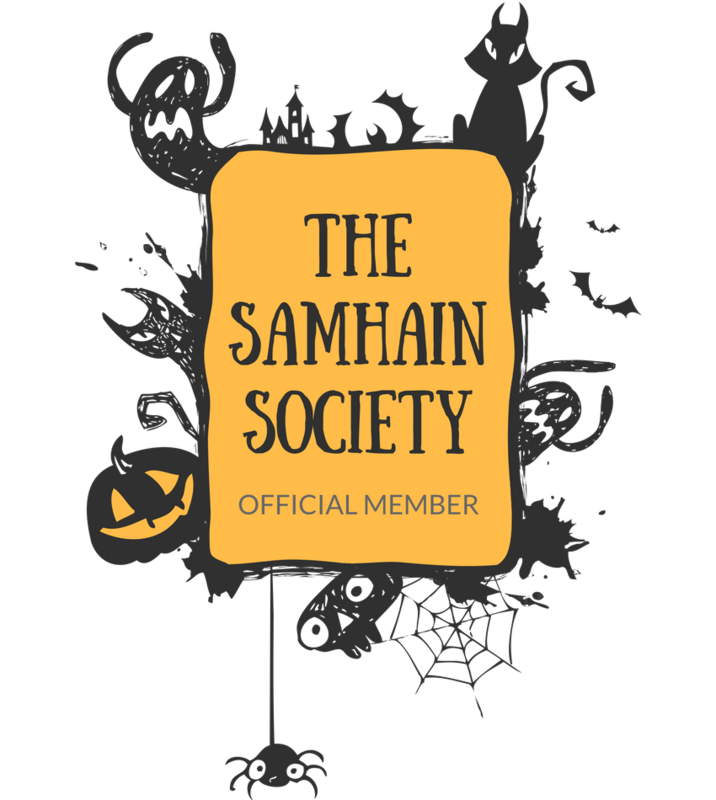 It is my favorite Halloween anthology and boasts entries from Poppy Z. Brite, Richard Laymon, Peter Straub, Thomas Ligotti, Ramsey Campbell and many others. I also love the fact that it is so expansive, coming in at 600+ pages!! Now that’s a lot of Halloween goodness right there! Available on Amazon. 3.) Death Makes a Holiday: A Cultural History of Halloween by David J. Skal – A more scholarly but no less entertaining take on Halloween where Skal examines the who, what, when, where and how of the All Hallow’s Eve holiday. 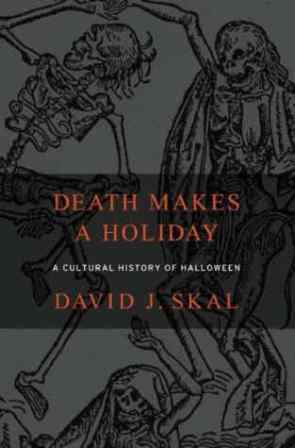 I love Skal’s work, and this is one of my absolute favorites since it will give you an entirely new appreciation for the best holiday. Available on Amazon. 4.) 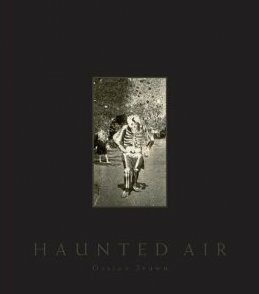 Haunted Air by Ossian Brown – This is a coffee table book that makes for a haunting conversation piece! 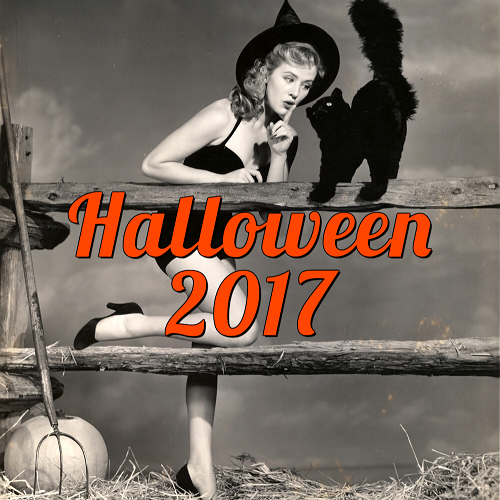 It is filled with vintage Halloween photographs from 1875 to 1955, mainly of creepy Halloween costumes! Besides an introduction by none other than spookmeister David Lynch, there are no captions, no text, just whimsical and unsettling photographs. Available on Amazon. 5.) 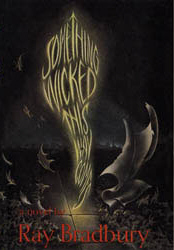 Something Wicked This Way Comes by Ray Bradbury – Yes, another Bradbury book makes my list, but with good reason. 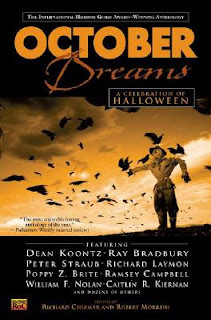 Bradbury evokes the very aroma of Halloween with his vivid descriptions and this haunting coming-of-age story is set squarely around the magical time of Halloween. Available from Amazon. 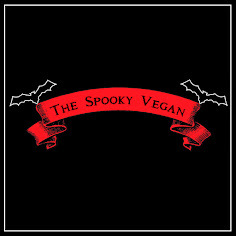 I can’t seem to get into the spirit of Halloween without reading these books! And anytime I miss autumn I can pick one of these up and be transported to my favorite time of year (I do this quite often in the spring and summer). So glad I picked up October Dreams when it was released. Going for crazy money now! I'd recommend Halloween Nation, a pretty good modern look at the holiday. Ray Bradbury is such a great writer. Some of these books I hadn't heard of, might have to check them out! I agree with everything on your list! 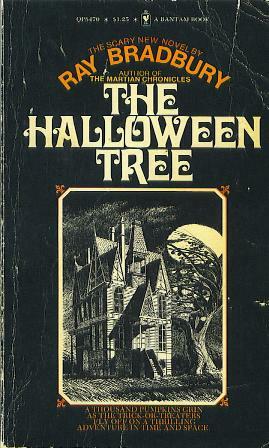 Shhhh....don't tell anyone...but I have never read The Halloween Tree. I know, it's not right. I plan to fix this.